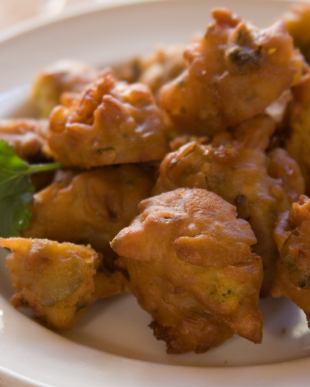 These pakoras are some of the easiest Indian snacks to make. I collected this recipe at the Shikarbadi Hunting Lodge outside of Udaipur. You can use any vegetable you like, but I recommend the softer vegetables such as peppers, eggplant, onions, and thinly sliced potatoes. Hot nuts are quite the rage these days, with commercial brands of hot and spicy pistachios, pecans, and peanuts now available. I add my two cent’s worth with this recipe for walnuts. This totally addictive snack is a great diversion when watching horror movies on TV or with beer when watching football.